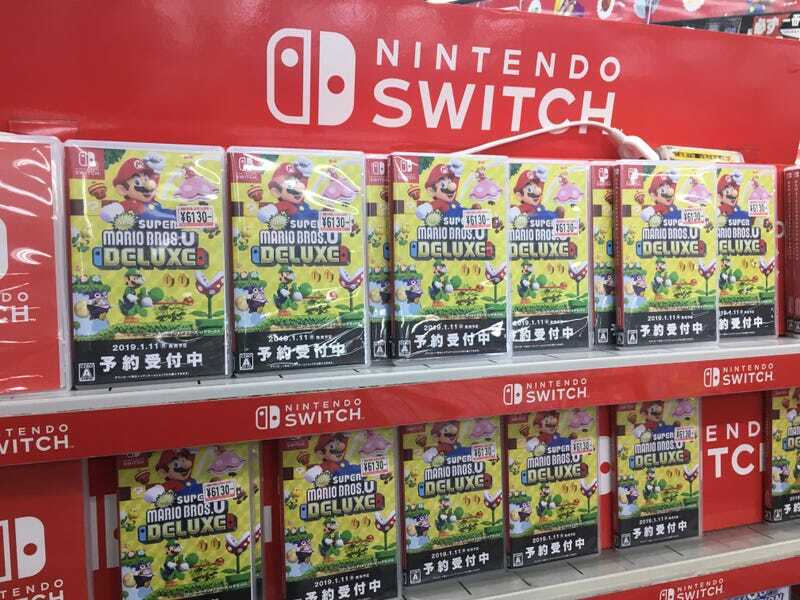 Japan wastes zero time: Days after its announcement in the Nintendo Direct, there are already rows of empty New Super Mario Bros. U Deluxe boxes lining the shelves at Yodobashi Camera in Akihabara. As expected, Peachette—whatever that is—is a major selling point. And those Joy-Cons in the logo!